I woke up today and instead of seeing the weather forecast at a hot 80 degrees here on the Northeast Coast, it was a cool 62 degrees. It's almost as if it was over night that the temperature dropped so drastically. I don't complain though. The colder weather gives some more fashion options and new layers. Summer is about shirts and shorts. Yet, fall is about long sleeves, long pants, and a pair of boots. Today I'm wearing a pair of dark brown suede Chukka boots, the first time I've worn them in months. 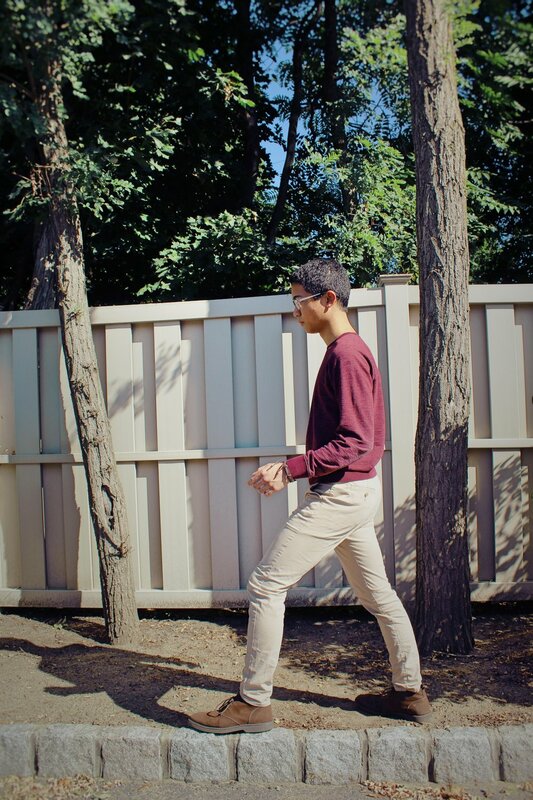 I paired that with slim fitting pants and my favorite, a burgundy sweatshirt. 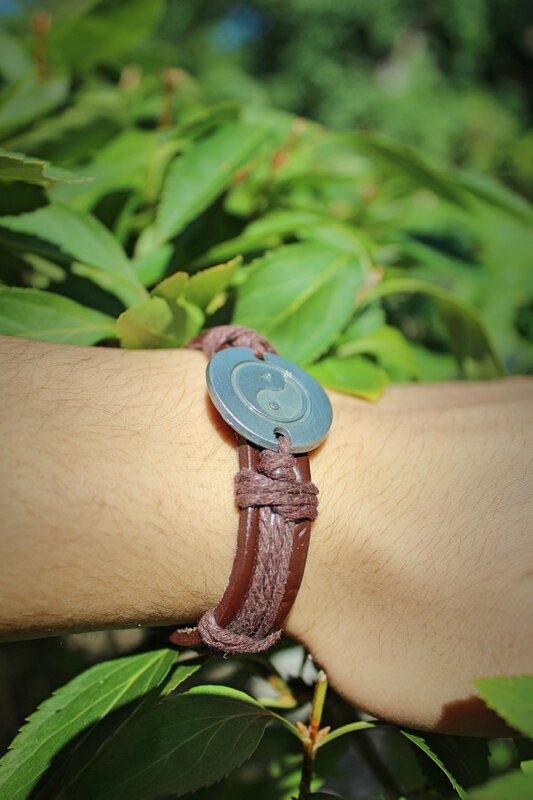 To keep the brown-tan colors going, I'm also wearing a leather bracelet with a Yin-Yang symbol. My outfit as a whole is composed of mostly darker colors which match the coming season's palette. However, the leaves haven't begun to change color, but as we write and photograph into the coming weeks, you'll observe a gradual and beautiful change of nature.